A new study finds that of the nearly 1 million veterans who receive opioid medications, more than half continue to use the drugs chronically. The study—funded by the National Institute on Drug Abuse (NIDA) and presented at the 30th Annual Meeting of the American Academy of Pain Medicine—aims to understand how drug problems take hold in returning veterans, and pokes at the controversy surrounding long-term use of opioid drugs. The NIDA is a part of the National Institutes of Health (NIH). An opioid is a drug within the heroin, morphine, or oxycodone family. Though they dampen pain, they can cause physical dependency in users. Researchers examined data from the national Veterans Healthcare Administration to see opioid prescription trends for soldiers returning from duty with pain. The study looked at veterans who were on at least 90 days of prescribed opioids within 180 days. Discontinuing meant to stop using the drugs for at least six months. In a statement, Dr. Mark Sullivan, who led a collaborative team from three research facilities, remarked about the trends that emerged from chronic users: they were often younger, married, nonsmokers, suffering from post-traumatic stress disorder or multiple chronic pain conditions, and were on several opioid medications, taking above 100 mg in opioids per day. The rise in veteran chronic users is supported by previous findings—according to the NIH, prescription drug abuse doubled among U.S. military personnel from 2002 to 2005 and almost tripled between 2005 and 2008. The latest study provides the first sample where half of all opioid users were found to be chronic users of greater than 90 days per year. Due to their high potential for addiction and abuse, opioids are legally available only through prescription from a licensed medical professional. However, opioid-related morbidity and mortality from overdose is a growing public health concern. Since the 1990s both prescriptions and abuse of opioid drugs for veterans has steadily increased, with the fatal overdose rate among VA patients nearly double the national average. 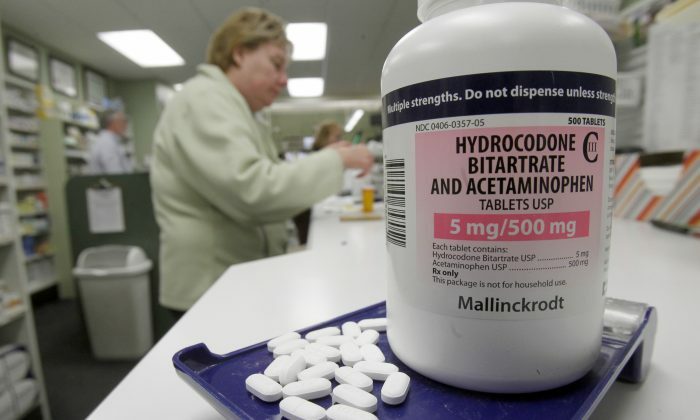 Prescriptions for four opiates—hydrocodone, oxycodone, methadone, and morphine—have jumped 270 percent in the past 12 years, according to data from the Center for Investigative Reporting obtained through the Freedom of Information Act. Twice last week, the Centers for Disease Control and Prevention had pointed to the harm caused by aberrant and inappropriate prescribing by physicians. Canada's slow growth in medication costs is largely due to two factors, a new report finds.